Originally from Waukegan, Illinois, Bob Baker is a senior partner with Baker, Keener & Nahra. Prior to his legal career, Bob served in the United States Navy, including a tour in Vietnam, and was honorably discharged as a lieutenant before entering the legal field. After graduation from law school, Bob joined the firm of Kirtland & Packard, where he remained until December of 1986, when he and two colleagues opened the law firm of Baker, Silberberg & Keener in Santa Monica, California, which today is now known as Baker, Keener & Nahra, located in Downtown Los Angeles. Despite only winning his first twenty-two trials in a row, Bob is still regarded by his peers as one of the preeminent trial attorneys in the United States. In his over forty years of practice Bob has never once backed down from fighting to get his clients the best results possible. Through his tenacious advocacy for his clients, whether plaintiff or defendant, and his ability to cut quickly and precisely to the heart of the issues, he has successfully brought hundreds of cases to trial on behalf of his clients in a wide range of disputes, including commercial and business litigation, professional liability, wrongful termination, product liability and catastrophic personal injury cases. 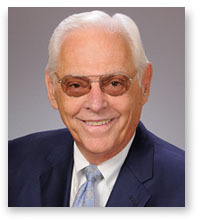 As a fervent believer in the value of the jury system, Bob has dedicated himself to working with attorney organizations, the courts and Congress to improve and advocate for the civil justice process and has served as national president of the American Board of Trial Advocates, as well as president of its Los Angeles Chapter, and as president of the Association of Southern California Defense Counsel. His dedication to the legal field has been acknowledged by the American Board of Trial Advocates, who named him Trial Lawyer of the Year in 1993, and by his membership in the prestigious American College of Trial Lawyers, International Society of Barristers and International Academy of Trial Lawyers. Outside of the legal field, Bob is an avid golfer and even more avid car collector, with a number of his cars on display at the Nethercutt Collection. Nonetheless, Bob still counts as his greatest love and highest achievement his privilege to be a proud husband, father and grandfather for his family.